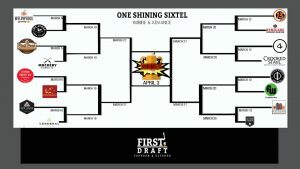 Details: Breweries face off against each other for each round, bracket style, where the winner is determined by whose sixtel has the most ounces poured at the end of the night, or kicks first. Winner advances to the next round until there is a champion crowned on April 3rd. Winning brewery will have a permanent tap line at First Draft for a year. Details: Stop in on Thursday, April 4th as we release this years bracket winning Cerealiously! Cinnamon Toast Crunch beat Reese’s Puffs in the final round! Stop in for a pint and be sure to grab a 4 pack! Details: We proudly announce the release of our newest Lee Hill Series and all around big deal- Batch 1000! RELEASE // Thursday, April 4th (5-9 pm) at our Lee Hill tap room. Be the first to try this one on tap or snag a can for your cellar, or both! 12 ounce cans will be available for $10 per. Price per can will go up to $12 on Friday. 🍻 Buy a can, get a free limited release collector glass! To Celebrate our 1000th batch of beer brewed at our main production facility, we concocted a ludicrously sticky wort and dosed ten different types of sugar into the fermenting beer. Twelve months of mellowing in fresh bourbon barrels bestowed notes of warm caramel, crème brûlée, stone fruit, and baking spices. This rich and viscous beer turned cordial is intended to be savored and shared in good company. LEE HILL SERIES // Named after our original North Boulder brewery, the Lee Hill Series is our tribute and continued commitment to experimenting and crafting small batches of beer for YOU, our awesome, craft beer-loving fans. This quarterly, limited release series celebrates experimentation and creativity. The Series offers new and innovative styles that are sure to be cellar keepsakes! Details: We’re releasing Double Digit IPA and celebrating all weekend long! This juicy and hazy IPA is first warm dry-hopped with Simcoe and Amarillo hops, then traditionally dry-hopped with all Mosaic hops to put it over the top. 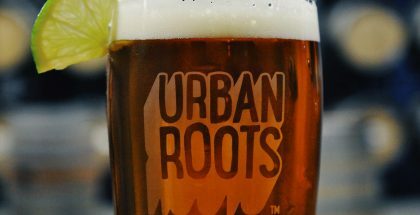 Think giant fruity hop overtones, while staying easy on the bitterness. Our Brewing Director Fred couldn’t cut it as a butcher, but luckily found his calling with brewing and selecting amazing hops. We were ready to drink a juicy, hazy IPA in the double digits so Fred lent his skills (and partial hand) to create this Imperial Hazy IPA. This is a national release, so look for it in a store near you if you can’t make it to the brewery! Named in honor of the Colorado Rockies most charismatic character and of course best baseball beard, Charlie Blackmon! Bring your ticket from Opening Day and receive 50% off draft beer. 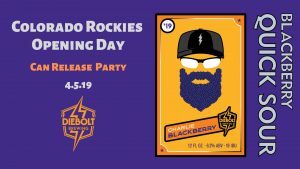 We’ll be opening EARLY at noon in order to stream the game live and for those of you heading to Coors Field to get here for some pre-game Charlie! We’re only a short bike ride, scooter, or walk from Coors Field! 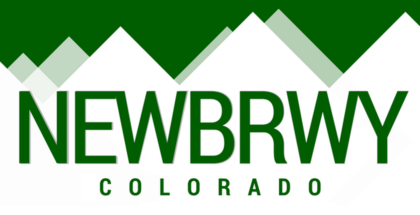 Electronic Colorado will be onsite from 5-7 PM raising money for The Blue Bench in honor of Sexual Assault Awareness Month with prizes of their own (and some beer prizes of course)! Brewed as a quick sour, not necessarily a kettle sour, this beer was mashed, boiled for 10 mins, then sent to a fermentor at 115 F and pitched with lactobacillus. After reaching the desired ph over 3 days it was sent back to the kettle for the proper boil and hop treatment and then back to the fermentor with saison yeast. 5 days later we pumped in 500lbs of blackberry puree and the rest is history. This spring classic is a home run!!! Details: Liquid Knowledge is a double New England style IPA brewed in collaboration with the rock stars at Bottle Logic Brewing Anaheim, CA. Double dry hopped with Citra, Sabro, and Mosaic at 7 lbs/barrel. 8% ABV. Our brewers get gummy bears and fruity pebbles on the taste. Citrus, stone fruit, coconut, and cream stand out. Sabro might be our new favorite hop. Tasting room only with extremely limited distribution. 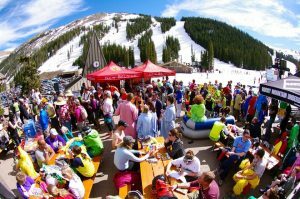 Details: Come party at Avanti F+B for Denver’s favorite weekend… Opening Day Weekend! We’re celebrating with our newest event series, Extra Innings. On Friday, we’re opening at 10am! We’ve got food pairings with New Belgium Brewing beers to keep you fueled up for the game. Come by after the game for more drinks and food on the best patio in the city! Then, join us for our new brunch menus out on the Wolf Bar, Saturday and Sunday from 11-2p! Our restaurants will have plenty of brunch options, and we’ll have a Build-Your-Own Bloody Mary bar Saturday and Sunday! Details: We will be re-releasing 16oz four packs of two of our flagship beers on Friday 4/5. Urban Lumberjack Hazy IPA & Tears of Our Enemies Scottish Ale. Full release info below! “The beer William Wallace would’ve drank if he didn’t drink the tears of HIS enemies.” This light brown Scottish Ale has aromas of subtle fruit combined with a toasty malt character followed flavors of caramelized sugar and toasted bread and finishes with a pleasant warmth. “It’s so juicy it’ll blow your beard off” – Paul Bunyan. This hazy IPA has 6 hop varieties primary flavors from Citra, Azacca & Eldorado hops, Amarillo, Simcoe and Mandarina adding additional subtle flavors. This IPA is juicy and tropical with notes or orange, nectarine, and mango. Details: Join us for First Friday on the corner of 42nd Ave and Tennyson for our tapping of Wolf Moon Chocolate Stout! We will also be joined by The Pasty Republic serving up some of their delicious Pasties! See you then! Details: Shelton Brothers is responsible for bringing America some of the worlds best Saisons, Belgians, Lambics, Lagers, Wild/Sour and everything in between. Join us Saturday April 6th, 2019 from 10:00am-2:00pm for an On Hill Scavenger Hunt in which costumes are encouraged. Then from 2:00pm-4:00pm there will be a party at the base with music and other fun entertainment! Details: Come join us on April 6th or 7th for our Fourth Annual Work From Home Beer Breakfast! Work From Home, our Breakfast Porter is brewed with Vermont maple syrup and Guatemalan coffee roasted by @middlestate Coffee. We will also be releasing Barrel-Aged Work From Home. This beer has been slumbering in Laws Whiskey House 4-Grain straight bourbon for the past 10 months. We’re celebrating by throwing a beer breakfast party, including waffles and bacon provided by Waffle Brothers! We’ll have cartoons on the big screen and highly encourage wearing your favorite pajamas. The party will run from 10am-12pm and we will be open to the general public at 12pm. This year, you’ll have the option of buying either a Saturday or Sunday ticket. https://cerebral.craftcellr.com. 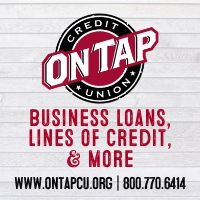 Opt-in for SMS alerts to receive updates and special offers. TICKETS ARE NON-TRANSFERABLE. YOU MUST HAVE YOUR LOGIN ON CRAFTCELLR OPEN ON THE DAY OF THE EVENT. WE WILL NOT ACCEPT SCREEN SHOTS OR PURCHASE RECEIPTS. PLEASE MAKE SURE YOU ORDER YOUR TICKET FOR THE CORRECT DAY. • The option of upgrading or buying one of our MiiR insulated camping mugs with a custom Work From Home design! (there are only 120 available, so if you’re dying for one of these – please buy a Saturday ticket)! Details: Amigos! Have you heard? Señor Piña and Venga are now available in cans! To celebrate, we’re throwing a big fiesta. We’ll have specialty Mexican cuisine all afternoon, Cerveceria Colorado swag giveaways, photo booth and best of all a $4 cerveza can bar on the patio. Come join us a for a fun afternoon of cervezas, comunidad, y amigos. 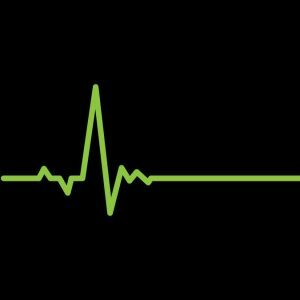 Details: We’re opening our doors and we can’t wait to share the result of all of our blood, sweat, and tears. Join us for our grand opening! 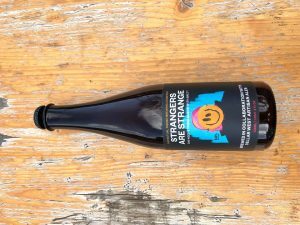 Details: Strangers Are Strange is the brain-child from our friendship with the good humans at Cellar West Artisan Ales in Lafayette, CO. We went Euro with the ingredients and brewed this oak-aged strong saison with brett with Mistral hops from France and Eraclea Pilsner malt from Italy. 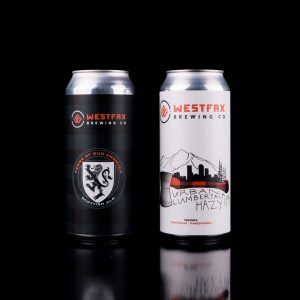 The beer fermented in Cellar West’s wine casks with mixed cultures from their brewery and the addition of different cultures from our brewery as well. We love this beer and we hope you enjoy it, too. -Pageantry, Lemon Verbena Saison brewed in collaboration with Austin Beerworks. Details: Can & draft release. This is a mixed 4 pack of IPA styles we’ve been known to brew. The catch? Each IPA is ᑌᑎƖᗪƐᑎƬƖFƖƐᗪ. We wanted to throw out preconceived notions about a beer and challenge you—the consumer—to try something blind. Each can is distinctly different. We encourage you to first taste the beer from the can, evaluate it, discern what aromas come to mind and what flavors you taste. Can you guess which style? Next, pour into a glass and consume the beer as you normally would. We want you to experience the beers for what they are without our lengthy, adjective-laden descriptions, and without someone else’s idea of what it should be. You be the taster, you write the description. And then let us know if you liked it. The bottom of each can contains the true name of the beer you are drinking. Go to www.fictionbeer.com/beers and see if your descriptions approximate to ours. Tag us on Instagram @fictionbeer and give us your comments on how the experiment went. We want to know how you would describe these beers. Enjoy the puzzlement. Pico Arepa is the food truck for the release. Details: Come join us for for our biggest release of the year, our peanut butter and Jelly Porter formerly known as Crustless. 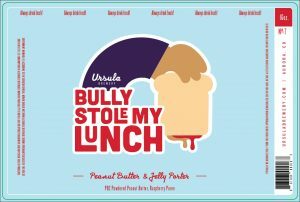 This will be the first time we release this beer with it’s new new name Bully Stole My Lunch. We will also be releasing 2 new Mochi Ice Cream IPAs. *Mochi Ice Cream IPA Mixed Pack – Inspired by those little Japanese Mochi Ice Cream balls found most everywhere these days. Each of these beers has an identical malt profile made up of locally malted barley from Root Shoot Malting, flaked oats, Japanese short grain sweet rice and lactose sugar. From there they differ; different hops, different yeasts, and different adjunct fermenter additions. We’re releasing these beers as a mixed 4 pack. 2 cans of the Green Tea Mochi and 2 cans of the Mango Mochi. *Mango Mochi – Mochi Ice Cream IPA -This Mochi Ice Cream IPA has over 33 pounds of Mango Puree per barrel, and a touch of vanilla. It’s a big juicy mango ice cream bomb, hopped with over 7.5 pounds per barrel of Cashmere, Citra, and Mosaic Hops. Fermented with Norwegian Kviek yeast. *Green Tea Mochi – Mochi Ice Cream IPA -. This one has 3 pounds of green tea per barrel, and a touch of vanilla. It’s very much for the Green Tea Ice Cream fan but enough grassy and juicy hops with over 7.5 pounds per barrel of Olicana, Jester and Huell Melon to please the hop-head as well. Fermented with A blend of NEIPA yeasts. Details: Join us every Sunday from 4-6 p.m. for a bluegrass jam in our taproom. Bring your own instrument to join the jam, sing along or just listen in. Everyone is welcomed and encouraged to participate! Details: Join us as we welcome Russ Karasch, of Squarrel Square Barrels and owner of Black Swan Cooperage in Park Rapids, Minnesota, as our guest cooper. Karasch will be providing a talk and demonstration at 3pm immediately following our regularly scheduled Cooperage Class with Peter Bouckaert from 1-3 p.m. This is a free event. Please sign up so that we can get an accurate guest count. Cheers! Details: Our greatest achievements are often those that require the greatest toil. Blend one part passion, one part craftsmanship, a touch of good fortune, and great determination. This is the beauty that exists only through lonely dedication in the creative dark. Meet Loveless, our Sour Saison, barrel-fermented with Saison yeast and our house sour culture for 12 months, then re-fermented in red wine barrels with fresh blackberries and raspberries for another three months. With each barrel yielding varying characteristics, Loveless was carefully blended to impart balanced tartness, tied together by a vibrant blackberry and raspberry finish. As with any labor of love, this endeavor involved both radiant highs and loveless lows, but the end result yielded a most brilliant triumph. Originally brewed to celebrate Ratio’s 2nd Anniversary, Loveless has returned just in time for the week of the Craft Brewers Conference. Bottles of Loveless will be released on Monday, April 8 at Noon in the 375ML bottle format. Loveless will also be available on draft in the taproom for a limited time as well. 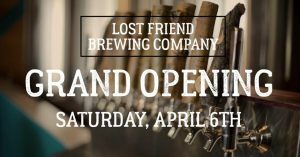 Details: Come witness true friendship in the brewing industry as Our Mutual Friend taps real #farmbeer! Details: Ratio Beerworks invites everyone to kick off CBC week with a bang. 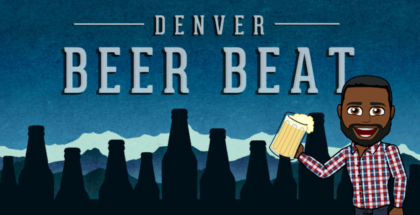 After the Craft Brewers Conference and BrewExpo America 2019 Opening Reception, head down the street to one of Denver’s best new late-night spots, Brass Tacks, for good eats, an all-star cast of breweries, and great hangs. 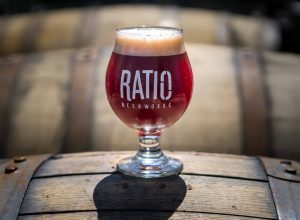 Join Ratio along with TRVE Brewing, Outer Range Brewing Co., Call to Arms Brewing Company, Revolution Brewing, Brewery Bhavana, and Threes Brewing in getting the CBC party started a little early with some late night Monday hangs.